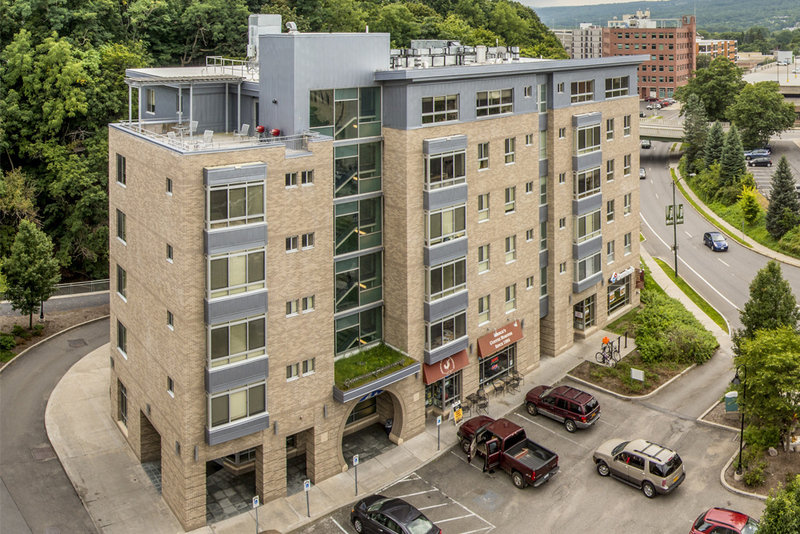 The 42,000 sf, six-story Gateway Commons project includes 25 housing and two retail units in a prime, downtown Ithaca location situated at the edge of the Ithaca Commons pedestrian mall and bordering Six Mile Creek. 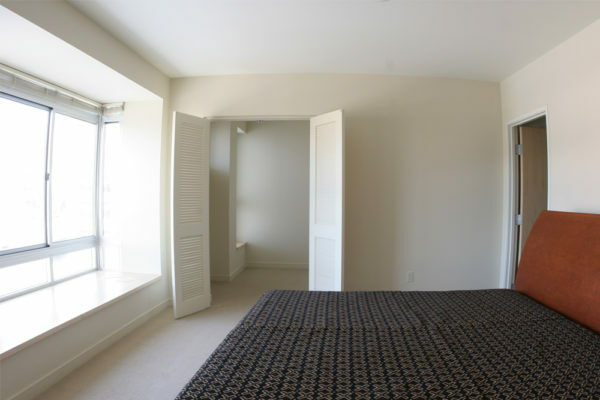 The building design takes advantage of the unique site location – the apartments on the city side of the building incorporate urban design elements including bay windows, while the Six Mile Creek facing apartments feature elements such as French balconies to allow the occupants to experience the nature outside their windows with unobstructed views. The environmental focus of this building includes many energy efficiency amenities, maximizes use of natural daylight and offers roof-top gardens for tenants. It is a model of sustainability through environmentally responsible building design and construction, and long-term energy conservation. This building is LEED Silver certified.